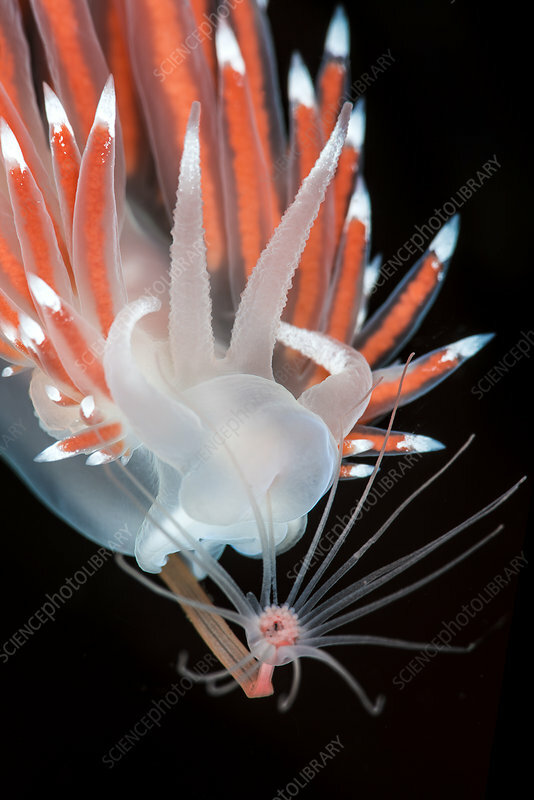 A nudibranch (Flabellina nobilis) feeding on a solitary hydroid (Tubularia indivisa), note how the hydroid is bent back as it is pulled into the nudibranch's mouth. Gulen, Bergen, Norway. North East Atlantic Ocean.